Booming economic development in Round Rock makes it a great place to live and work. And when you have a business to run, you cannot afford to wait around to receive assistance. You need a local commercial locksmith that you can trust to arrive promptly on the scene and take care of the situation. We are Round Rock Locksmith Pros and with our commercial locksmith services in Round Rock Texas, you can expect a licensed, bonded, and insured locksmith to arrive on the scene within 30 minutes or less and get to work solving your problem. Or, you can schedule our commercial locksmith services at any time that is convenient for your business operations. No matter when you need our help, we will arrive with all of the tools and equipment necessary to do the job right the first time, getting you back the access you require to your commercial building. Just take a look at the many commercial locksmith services in Round Rock Texas that we have to offer and decide for yourself. Since you obviously cannot bring your office to our shop, we bring our expertise and equipment right to you. We offer or emergency locksmith services 24/7, and we pledge to always provide you up front pricing that is fair and reasonable. We want to be your local locksmith of choice, and you will find all of our technicians to be both friendly and reliable. We are licensed, bonded and insured and we can install a wide variety of commercial security devices, as well as quickly repair or replace your current systems that are not functioning properly. You need to be able to get out of your locked doors at a moment’s notice in the event of an emergency. If you discover that your existing bar is broken or damaged, call us out right away. We provide a complete range of systems that can help you control access to your building and restrict it to only authorized individuals. We can install or repair all types of access control systems including biometric locks, pin code access systems and a whole lot more. It is important to make sure that all non-essential doors are kept closed at all times. We can install and service automatic door closers for you. This will also help in lowering your energy costs and provide a more pleasant environment for your employees and customers. Basically, anyone that wants to enter your premises needs to request access and then you can buzz them in with the push of a button. 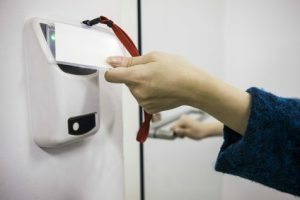 This unique access control device is installed in your office or factory door and you are given total control over who comes and goes. When you are not on the premises, you can count on our professionally installed CCTV system to monitor every location for you. We can even provide you with remote access should you require it. Ask us to install or repair closed circuit television systems today. To ensure that your locks are secure and not easily penetrated, we can install and service magnetic door locks throughout the building. It is far easier to have one central key to access most areas of your building. We can install such a master key lock system for you and keep it in working order. No matter what time of day or night, you can out on us to handle any office lockout that you might have. 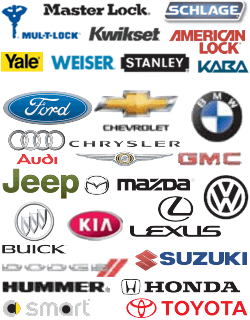 We are the best 24-hour locksmith in the area and, as such, we only sell and install the best commercial lock brands available on the market. This is for your safety and security. The brands that we keep in stock and are ready to install for you on site including Schlage, US Lock, Arrow, Corbin, Russian, Falcon, MarksUSA, Sargent, Yale and more! When you are in need of a commercial locksmith in Round Rock TX that you can trust, give us a call. We aim to be of service to you however we can so contact us anytime day or night for assistance. We will take care of all your lock and key needs for your commercial property, large or small. Commercial https://round-rock-locksmith.com/commercial/ 4.1/5 based upon 16 reviews.